They consider Saturdays too competitive and too confused with the weekend only punters confusing the market. For the Ratings, Saturdays are either wonderful or just average. Yesterday was just an average day. Kempton 14:05 – Vocaliser (our second rated horse) won this race at 8.00 ISP. Kayl Blanco, our top rated horse, came second. The Reverse Forecast paid £21.17 to a £2 stake. Fontwell 14:50 – Banjo Girl (our top rated horse) won this race at 2.35 ISP. Kempton 15:50 – Chosen Path (our second rated horse) won this race @ 1.50 ISP. Champagne Champ, (our top rated horse) came first. The Reverse Forecast paid £3.28 to £1 stake. Uttoxeter 17:20 – Just Don’t Ask (our top rated horse) won this race @ 2.75 ISP. Whiskey inthe Jar, (our seconnd rated horse) came second. The Forecast paid £3.37 to £1 stake. Uttoxeter 17:55 – Our first three rated horses came first, second and third – unfotunately in the wrong order! The Combination Trifecta paid £24.50 to £6 stake. 16 out of 36 races were won by a top three rated horse. 3 out of 36 races were won by a top rated horse. 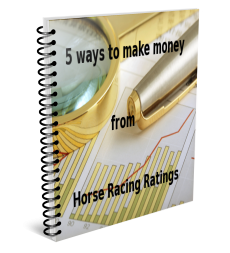 From the free systems that I give away on the site (5 Easy Ways to make money from Horse Racing Ratings) we had 6 selections. The system correctly predicted 1 winner from those 6 races. As some of you have asked for analysis of our System Bets results, today I shall be doing some analysis of the numbers. The long awaited 1999 Darwin “Natural Selection” Awards have been released! 5th runner-up: Goes to a San Anselmo, California man who died when he hit a lift tower at the Mammoth Mountain ski area while riding down the slope on a foam pad. The 22-year old David Hubal was pronounced dead at Central Mammoth Hospital. The accident occurred about 3 a.m., the Mono County Sheriff’s Department said. Hubal and his friends apparently had hiked up a ski run called Stump Alley and undid some yellow foam protectors from lift towers, said Lt. Mike Donnelly of the Mammoth Lakes Police Department. The pads are used to protect skiers who might hit towers. The group apparently used the pads to slide down the ski slope and Hubal crashed into a tower. It has since been investigated and determined the tower he hit was the one with its pad removed. 2nd Runner-up: “Man loses face at party”. A man at a West Virginia party (probably related to the man in Arkansas who used a .22 bullet to replace the fuse in his pick-up truck) popped a blasting cap into his mouth and bit down, triggering an explosion that blew off his lips, teeth, and tongue. “He put it into his mouth and bit down. It blew all his teeth out and his lips and tongue off”, Payne said. Stromyer was listed in guarded condition Wednesday with extensive facial injuries, according to a spokesperson at Charleston Area Medical Division. “I just can’t imagine anyone doing something like that” Payne said. 1st Runner-up: Doctors at Portland University Hospital said an Oregon man shot through the skull by a hunting arrow is lucky to be alive and will be released soon from the hospital. Tony Roberts, 25, lost his right eye last weekend during an initiation into a men’s rafting club, Mountain Men Anonymous (probably known now as Stupid Mountain Men Anonymous) in Grant’s Pass, Oregon. A friend tried to shoot a beer can off his head, but the arrow entered Robert’s right eye. Doctors said that had the arrow gone 1 millimeter to the left, a major blood vessel would have been cut and Roberts would have died instantly. Neurosurgeon Doctor Johnny Delashaw at the University Hospital in Portland said the arrow went through 8 to 10 inches of brain with the tip protruding at the rear of his skull, yet somehow managed to miss all major blood vessels. Delashaw also said that had Roberts tried to pull the arrow out on his own he surely would have killed himself. Roberts admitted afterwards he and his friends had been drinking that afternoon. Said Roberts, “I feel so dumb about this”. No charges have been filed, but the Josephine County district attorney’s office said the initiation stunt is unde investigation. Now this year’s winners:(The late) John Pernicky and his friend, (the late) Sal Hawkins, of the great state of Washington, decided to attend a local Metallica concert at the George Washington amphitheater. Having no tickets (but having had 18 beers between them), they thought it would be easy to “hop” over the nine foot fence and sneak into the show. For those of you on the current free trial, obviously I am around today. If any of you have any questions, just drop me a mail. 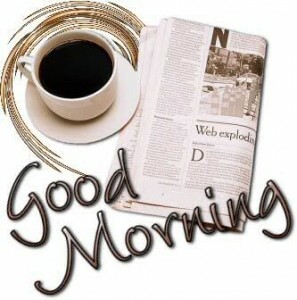 Have a great day’s racing!